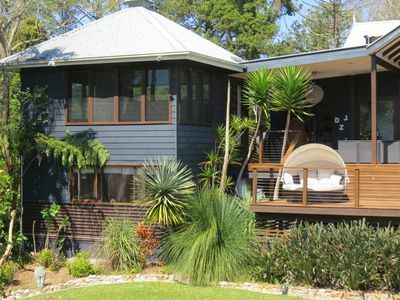 RIVIERA WATERS @ BROADBEACH is part of our luxury holiday homes portfolio offering you personalised and friendly service from property managers Raelean and Brian. 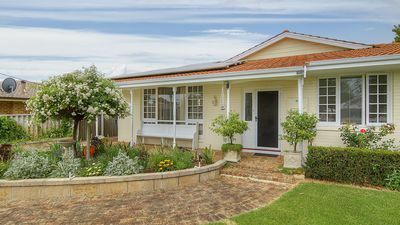 Upon entering this gorgeous property you immediately get a sense of its impressive size and open plan layout. With its two storey foyer entrance, a large sweeping staircase and elegant decor. The over-sized master bedroom suite is accompanied by a stylish ensuite bathroom complete with double shower. 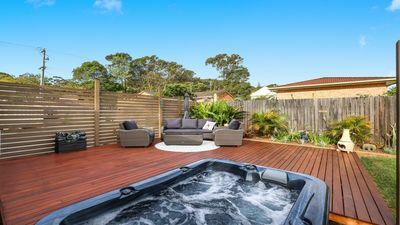 A chef would be proud to cook in the gourmet kitchen and for those hot Gold Coast days you have your very own swimming pool and heated outdoor Jacuzzi. 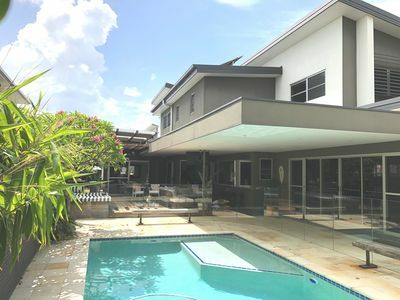 This spacious waterfront 4 bedroom 4 bathroom home is ideally located directly behind Jupiters Casino and the Gold Coast Convention Centre and within walking distance of the best that Broadbeach has to offer - Pacific Fair shopping, Jupiters Casino, the Gold Coast Convention Centre, Broadbeach’s fabulous restaurant strip, and of course the Gold Coast’s trademark golden beaches. Riviera Waters @ Broadbeach is child friendly so no need to worry about the little ones. 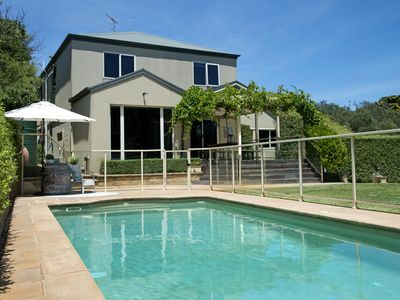 The home, the pool, the spa and the canal are all fully fenced to council codes. We have a porta-cot, high chair and stroller available for your use with our compliments. Situated in the centre of Broadbeach and directly behind Jupiters Casino and the Gold Coast Convention Centre, this home is within walking distance of the best that Broadbeach has to offer: Pacific Fair shopping, Jupiters Casino, the Gold Coast Convention Centre, Broadbeach's fabulous restaurant strip, and of course the Gold Coast's trademark golden beaches. Please inform us at time of booking if you require changes to be made to the bedding configuration; changes made within 7 days of your arrival may result in additional charges. At the time of booking also, please inform us if you require the use of the fold up bed (additional charges apply). Riviera Waters is located in a quiet cul-de-sac with no passing traffic. 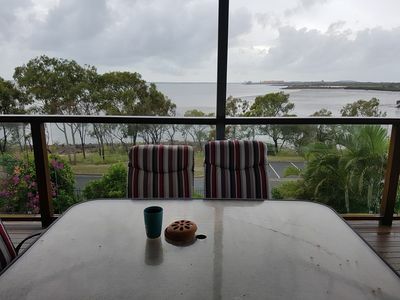 We have very nice neighbours and only take guests who agree to respect them and observe the residential area "quiet time" from 9:00 pm to 8:00 am. In accordance with Gold Coast City Council, Stayz and Holiday Rental Group Code of Conduct, Riviera Waters has a strict NO PARTY and NO COMMERCIAL FUNCTIONS policy. We DO NOT allow for Hens, Bucks and/or adult entertainment. If in the event you or your guests host a function of this nature on the property at any time it will result in instant eviction by our security company. No refunds will be given. 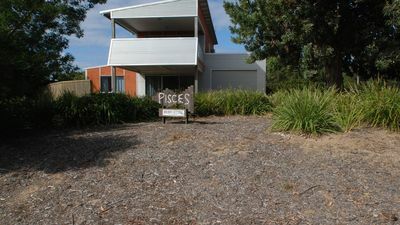 We do not accept bookings from schoolies or large groups of young singles. 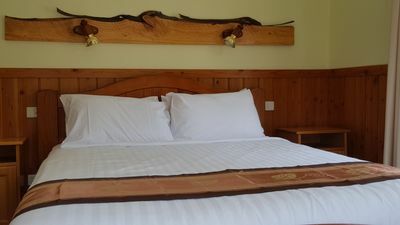 Minimum stay is 5 nights unless there is a gap between bookings, then we will accept a 3-4 night booking. For the Christmas season between the 20/12 - 5/01 there is a 7 night minimum. 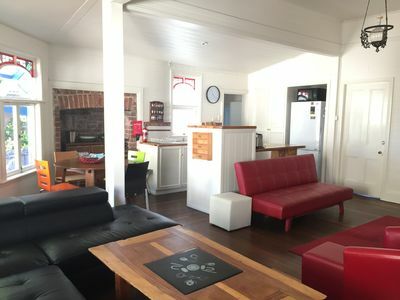 Tariff is based on an average 8 person adult stay with a 5 night minimum. 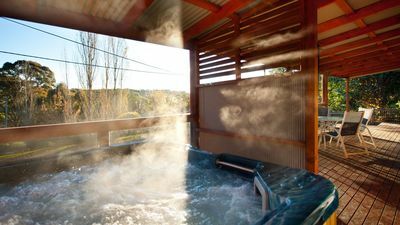 (additional guests are $30.00 per person per night). There is a standard linen and cleaning fee of $385.00 and a booking fee of $77.00. A security bond is required and payable by credit card. You will personally greeted upon your arrival and given a tour of Riviera Waters and its facilities. "THE GAP FILLER" - enquire now about our gap filler promotion. "THE LAST MINUTE" - bookings made within 2 weeks of your stay receive a 20% discount from your daily rate. "THE LONG STAY" - receive one "FREE" night when you stay at our beautiful home for 14 nights or more. **discounts don't apply for the Christmas holidays. If you would like to proceed and secure your booking at the luxurious simply email us your Riviera Waters, pay the 25% deposit and fill in our standard application form. It's that easy. We are receiving a lot of booking enquiries, up to 12 months in advance, so please book early to avoid disappointment. 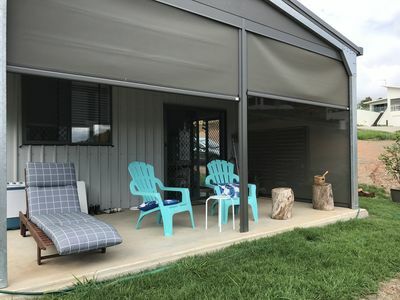 Vogue Holiday Homes is a Licensed Real Estate Agent and all funds are held in a Queensland Real Estate Trust Account as approved by the Queensland Office of Fair Trading. 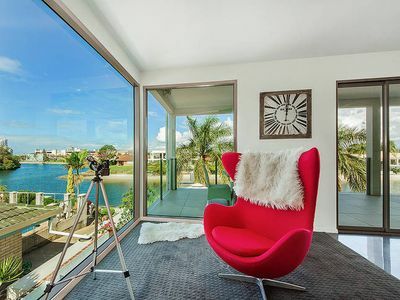 Broadbeach Waters has an abundant number of homes located on the canals which attracts boaties and water lovers. 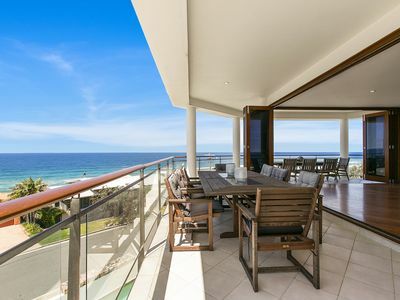 Being on the doorstep of Broadbeach central provides exclusive lifestyle opportunities. 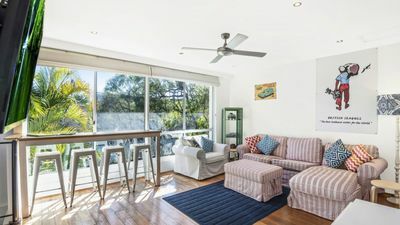 Centrally located behind Jupiters Casino and Pacific Fair Shopping Centre, Broadbeach Waters is less than a 10 minute walk to the beachfront, Oasis Shopping Centre and the many licensed clubs, bars, restaurants and cafes in the Broadbeach Mall are just minutes away. 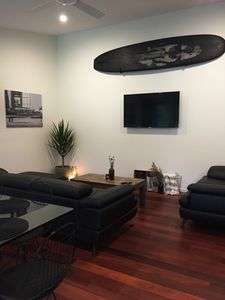 Riviera Waters is in walking distance to Pacific Fair Shops, Beaches, Restaurants, Jupiters Casino, the Gold Coast Convention Centre and Fitness First Gymnasium. 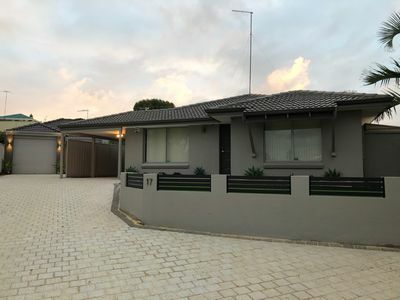 Broadbeach Waters lets you enjoy all the excitement of the Gold Coast with the theme parks on the Gold Coast corridor only 25 minutes drive north and a choice of 13 international golf courses and additional public courses in the vicinity. - Pacific Fair is the Gold Coasts premiere shopping mall with 420 specially shops. It is a 5 minute walk from the house. 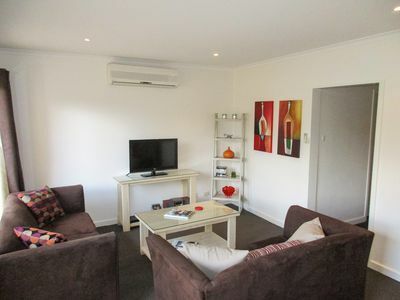 - Robina Town Centre is a 10 minute drive. - Harbour Town Discount Outlet Shops are a 20 minute drive. - If you are a golfer then you are in the right place! There are approximately 30 golf courses locally. Broadbeach is the restaurant capital of the Gold Coast. Some local favourites include Moo Moo's, Lauxes, Mario's, Sopranos, Chiang Mai Thai, and many more to choose from. - Jupiters Casino is a world class casino. It also has numerous bars and pubs. Open till late. - 'East' nightclub is within walking distance. - Surfers Paradise is the night club strip of the Gold Coast with many clubs to choose from. They are open till late. - The Gold Coast is a one hour flight from Sydney and a two hour flight from Melbourne. 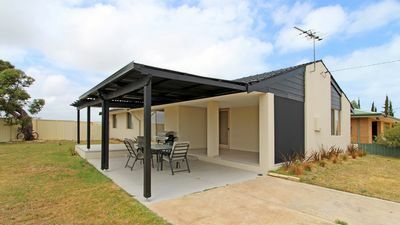 - Coolangatta Airport is a 30 minute drive to the house. - Taxis, buses and limousines are also available at Coolangatta Airport. 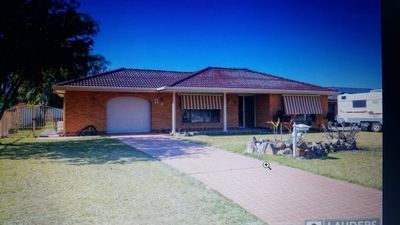 - Nerang Rail Station is a 15 minute drive by car or taxi to the house and buses and taxis are also available. - Tourist information and local recommendations. - Special requests are welcome and we will endeavor to fulfill all your requests. THANK YOU for your interest in Riviera Waters. We take great pride in providing you with the best possible holiday experience and we look forward to your enquiry. 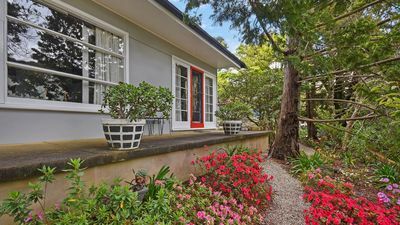 Sorrento Getaway- Stroll to shops and beach. 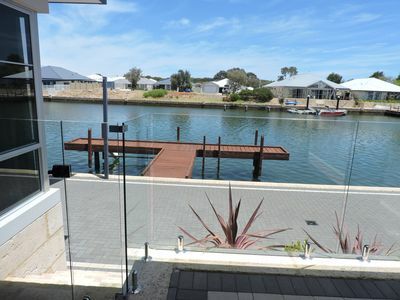 Waterways for your special Busselton retreat!